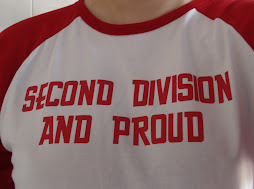 Having missed out on getting to Ebbsfleet (a long story I won’t bore anyone with here but I’m disappointed to have to wait another two weeks to see my beloved boys in red and white) I’ve decided not to write about the pre-season friendlies for now and concentrate on my second division predictions again. Anyway I’ll be seeing us take on Brighton, Bilbao (shouldn’t we get Bowyer back if Stallone’s coming to SE7?) and Swansea in friendlies ahead of the propa kick off fast approaching. Despite being a bit late to discover your blog I have put up a link from mine.